With the year slowly coming to a close, today we’ve decided to take a look back at some of the most exciting releases we’ve seen this year. We’ve picked five products that immediately came to mind when we got thinking about supplements that made some noise and truly impressed us. Redcon1’s MRE Bar was the best possible start we could have had to the year as it was a truly game-changing product. The protein-packed snack is a spin-off of the brand’s original meal formula MRE, featuring a unique mix of protein sources such as salmon, beef, and chicken. What makes the MRE Bar so impressive is its incredible consistency that crumbles in your mouth and requires almost no chewing. Since introducing the product, Redcon1 has gone on to add a number of new flavors to its menu giving you more ways to enjoy the top-rated protein bar. While Ghost may not release supplements as frequently as others, when it does drop something it is always worth looking out for. 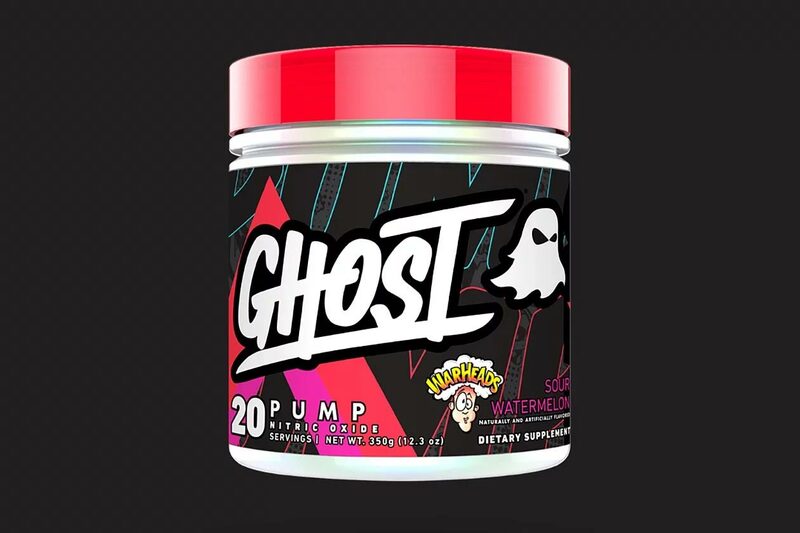 That was certainly the case for Ghost Pump, the brand’s stimulant free, muscle pump enhancing pre-workout that delivers an experience like no other. Ghost did hype up Ghost Pump a fair bit before launching it, although it was all justified when we finally got around to trying it. The pump pre-workout proved to be so effective that we created a list of the best five pump pre-workouts on the market that Ghost Pump is still the king of. Throughout 2018 we saw the release of a number of carbonated products, however, none of them quite matched up to the ‘Merica Labz energy drink, ‘Merica Energy. There was a lot of talk going into the launch of ‘Merica Energy, all of which was around just how good the product tastes. We thought we had tasted a good energy drink, but then we tried ‘Merica Energy and were introduced to a whole new level of flavor. The unforgettable sweetness of the product made us instant fans and truly raised the bar for what to expect taste wise when it comes to energy drinks. The Pandy Candy Bar is a protein bar competitor from the Sweden-based brand Pandy. The reason this one makes our list of five most exciting products of 2018, is purely because it was the best protein bar released this year. The protein snack delivers unique experiences with each of its three flavors that make you feel like you are eating an actual candy bar. While the Pandy Candy Bar is a lot smaller than most other protein bars and it is ranked number two on our list of top five bars, it has an incredibly bright future ahead of it. If Pandy manages to put together more flavors that are as good as its original three, we can easily see the product taking the number one spot for best tasting protein bar. Of all the innovative new supplements we saw in 2018, Performix’s protein powder ioWhey was the one that stuck in our memories. The product sets itself apart from the many other proteins out there by featuring a highly bioavailable source of protein. ioWhey uses Ingredient Optimized technology to give you the same benefits with 22g of protein from its formula as 30g of protein from a regular whey isolate. Not only does the unique technology give the protein impressive benefits with fewer calories, but it also comes at an incredibly competitive price point.